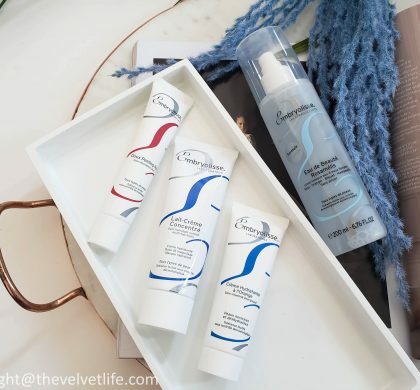 Omorovicza – New Product Launches I am Loving! Omorovicza products have been in my skincare routine for almost a decade now and are a brand I trust. I do have the Acid Fix, Midnight Radiance Mask, Ultramoor Mud Mask, Queen of Hungary Mist still on rotation. 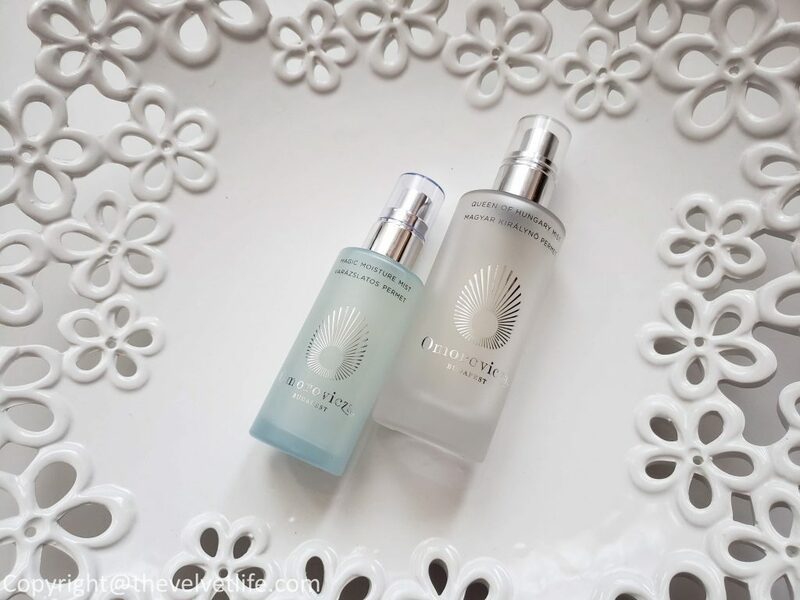 Omorovicza’s newest product launches include four products, Omorovicza Cashmere Cleanser, Omorovicza Hydra Melting Cleanser, Omorovicza Magic Moisture Mist, and Omorovicza Oxygen Booster which are all available in Canada. Omorovicza Cashmere Cleanser (CAD $90) is described as a gentle, comforting yet indulgent cleanser has the soft feel of cashmere as it glides onto the skin. Infused with nourishing, gentle and soothing age defying actives, the light formulation removes impurities without stripping, leaving skin feeling cashmere soft, hydrated and clean. The cleanser has a creamy texture and is a great option for the second cleanse in the evening and as a first cleanse in the mornings. It feels very gentle and soothing on the skin. The skin feels clean, pure, balanced, supple, and comfortable to continue with the next steps in the skincare routine. To use this ‘Wet the hands and with a pea-sized amount of product, massage in circular motions across the face and neck, rinsing thoroughly with a damp mitten. Gentle enough for everyday use.’ It is suitable for most of the skin types including sensitive, dry, oily, combination, and normal. Omorovicza Hydra Melting Cleanser (CAD $135) – Omorovicza will relaunch its Hydra Melting Cleanser this May. Redolent of the finest spa because of its stimulating blend of essential oils, its triple-phase formula cleanses and invigorates the skin. The gel texture melts into an oil as it is massaged into the skin. The addition of water then transforms it into a milky emulsion that rinses away with ease. I have been using it as my first cleanse in the evening and as a first cleanse on the mornings, it is gentle on the skin, removes impurities, and skin feels nourished, even, and calm. The texture is creamy and not very thick. I massage it on my face for 1-2 minutes and add a bit of water that makes it melt into my skin. It melts away makeup and rinses away easily. To use it, ‘Apply to dry skin and massage well. Add warm water to form a milky emulsion before rinsing away.’ It is suitable for all skin types. Omorovicza Magic Moisture Mist (CAD $115) is described as a liquid moisturizer powered by an innovative, two-phase formula to instantly hydrate and revitalise parched skin. When combined, the oil and water phases provide weightless hydration, enriching the skin with pollution defying, antioxidant plant stem cells as well as nourishing, regenerative essential oils. The main ingredients of the Magic Moisture Mist include Wheat germ oil ( a powerful anti-oxidant rich in Vitamin E, conditions and regenerates ageing, damaged skin whilst protecting against free radical damage), Macadamia nut oil (a lightweight yet powerful emollient rich in skin-conditioning, nourishing and soothing fatty acids for youthful radiant skin), Rosehip oil (imbues skin with essential vitamins, aiding tissue regeneration and increasing skin cell’s ability to retain water), Avocado oil (a naturally concentrated moisturizer, smooths and softens the skin), Sweet almond oil (replenishes irritated complexions, healing damage whilst strengthening skin’s natural defensive barrier), a precious blend of the following astringent and aromatic essential oils for an instant mood boost: rose geranium, lavender, sweet orange peel, neroli, eucalyptus and roman chamomile, Omorovicza’s patented Healing ConcentrateTM ( it leaves skin firmer, more supple and younger-looking). Magic Moisture mist has been my go-to since last few months and I can’t stop using this, it gives me the most beautiful glow. To use it, ‘Shake well before use. Close eyes and spray the face for touch-free hydration on the go.’ It has a light subtle scent, hydrates the face for the whole day without making it look oily or greasy. 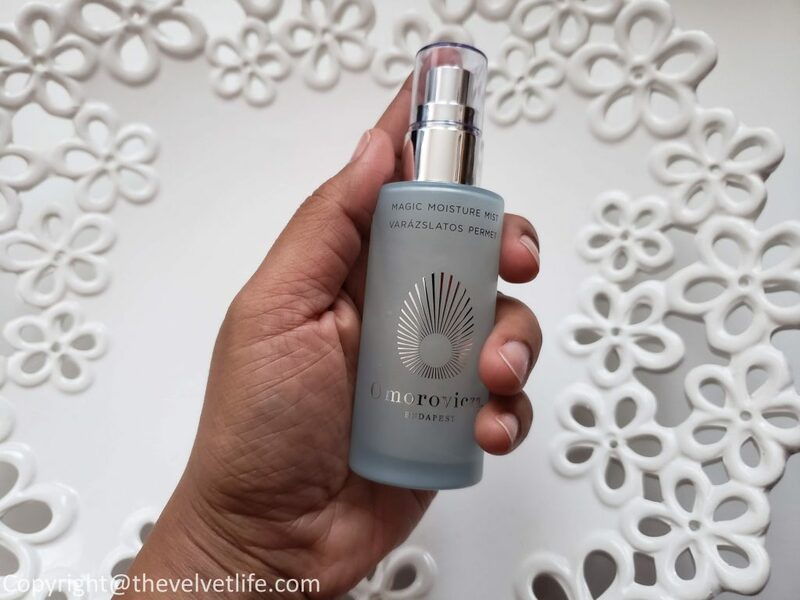 It can be used as a hydrating toner as well as setting spray after the skincare or after makeup, it gives so beautiful glass kind of glow to the skin which stays all day. I have the travel size of this mist in my bag to freshen up during the day. 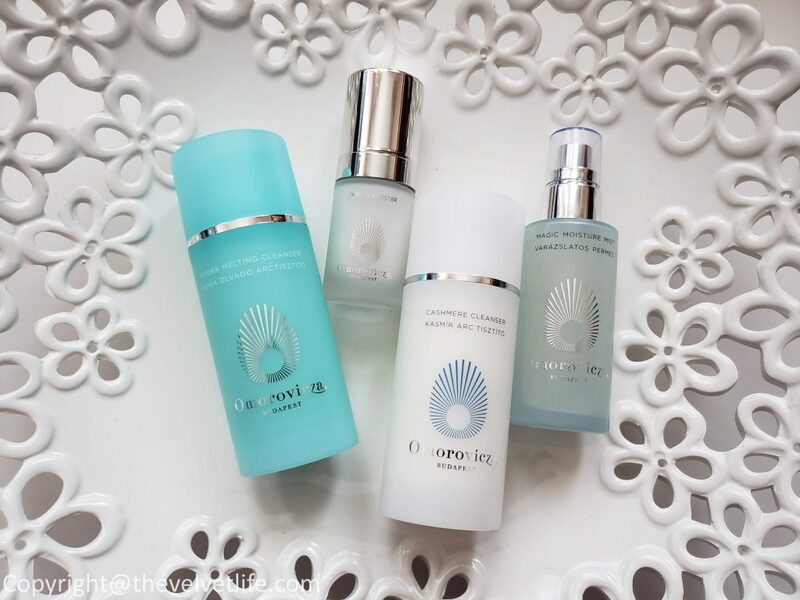 Omorovicza Oxygen Booster (CAD $110) as inspired by the brand’s work on the Blue Diamond range and their discovery of the remarkable skin benefits of oxygen. In this cooling and soothing water-gel, an ingenious delivery system brings oxygen molecules into the skin for a dramatic effect. 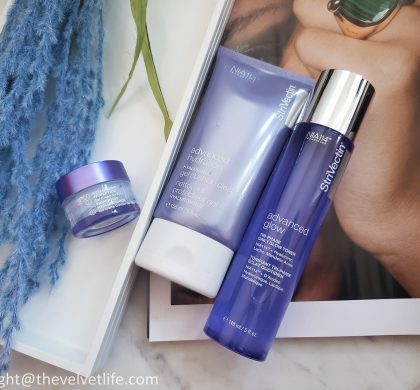 Instantly, oxygen molecules plump the skin and resurface wrinkles for a smoother, firmer appearance. Facial muscles relax as if Botoxed, and complexion recovers a youthful radiance. 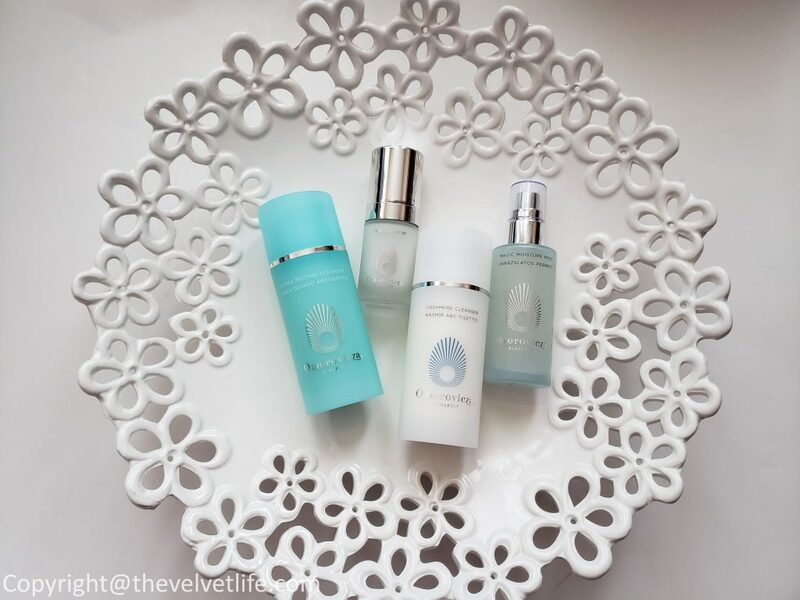 To use the Oxygen Booster suiting the skin’s needs, ‘mix one or two drops of Oxygen Booster into your serum or moisturizer to ‘boost’ the skincare. Alternatively, apply after cleansing and before your serum and moisturizer.’ It is suitable for all skin types. I am really enjoying using this product as well as experiencing the difference it makes when I use it. I usually mix one pump of this serum into my regular serum or moisturizer, it glides on smoothly on the skin and absorbs quickly. 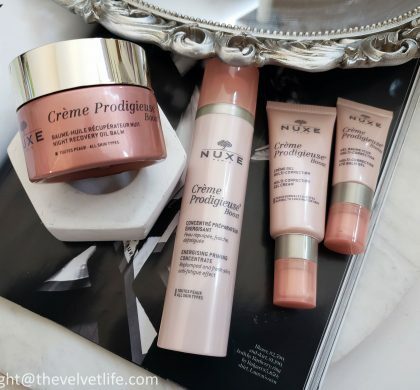 It gives a beautiful dewy glow to the skin. I do feel my skin looks healthy, glowy, even, and plump when I use this in my skincare routine. 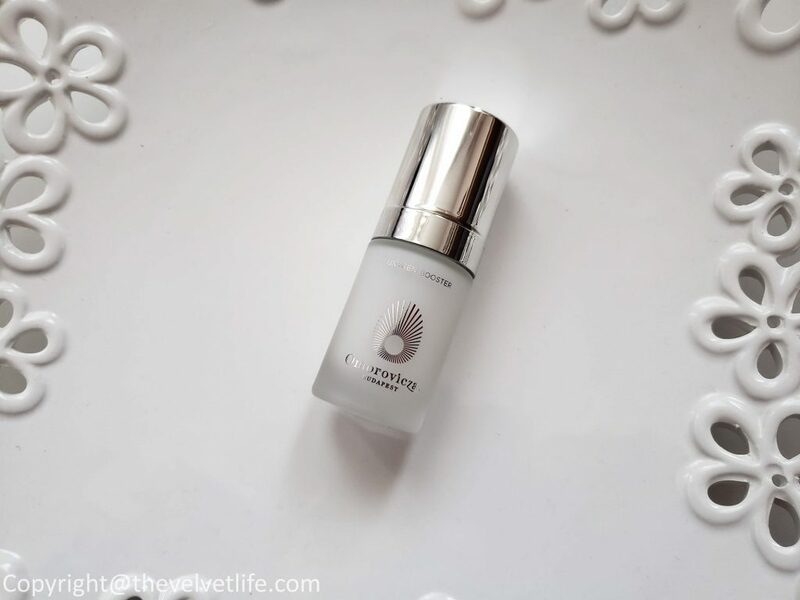 It has been working as a great boost to my normal skincare routine and skin. Overall, I am really enjoying the new launches from Omorovicza and not one of them has disappointed me, they are all worth checking out. 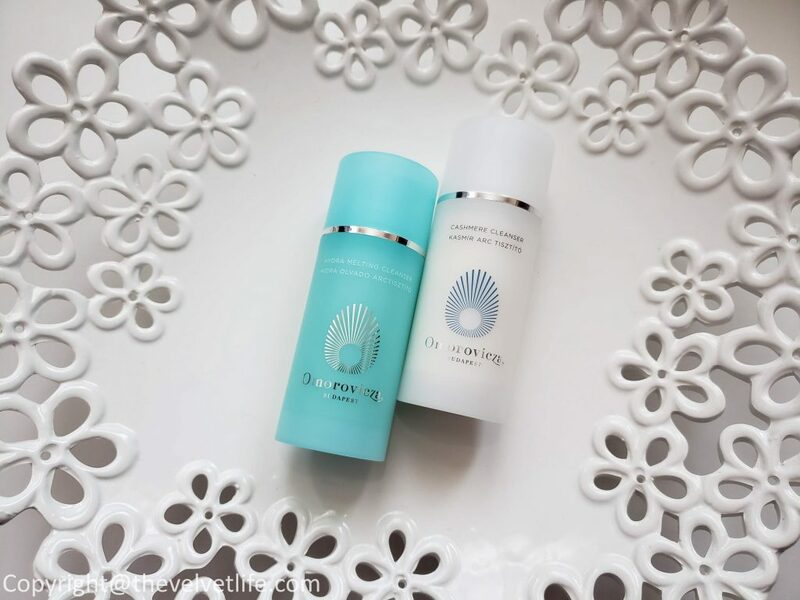 Magic Moisture Mist and Oxygen Booster have become favorites in my skincare routine that I would highly recommend you to check out. The cleanser works great even for sensitive skin types. Omorovicza products are available at Nordstrom stores, Four Seasons Toronto, Sephora Canada, and online at www.omorovicza.com.